Corporations are not usually in the business of changing mindsets. They make products they think will sell and go market them to pre-existing target audiences. That's the usual paradigm anyway. Bosch Power Tools in India, on the other hand, is thinking a little differently. It wants to grow a market that is practically non-existent - and in the process create a DIY (Do It Yourself) community in this country. Sounds like an impossible mission; creating a hands-on culture in conservative India with its rigid social hierarchies and set ideas on lifestyle, living and behaviour. But Bosch has a plan and has put money in it. 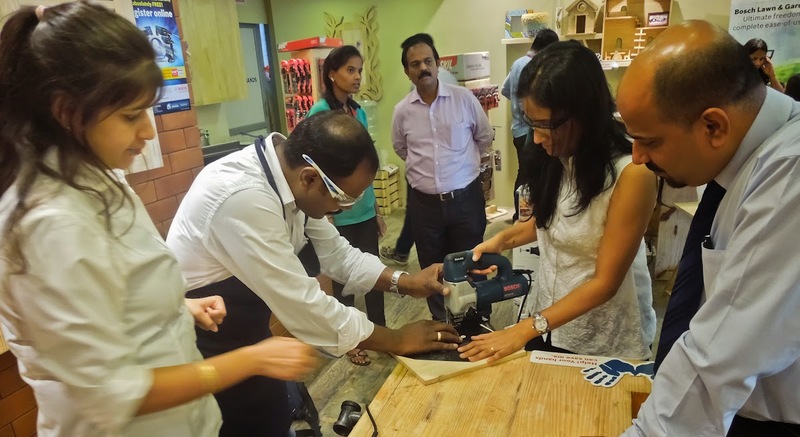 For starters, Bosch has set up a DIY Square in one of their dealer's premises in downtown Bangalore (Banerghatta Road) where anyone interested is encouraged to try out the many Bosch DIY tools free of cost and without any pressure to buy. Bosch even pays for the material and spares that are used by visitors. 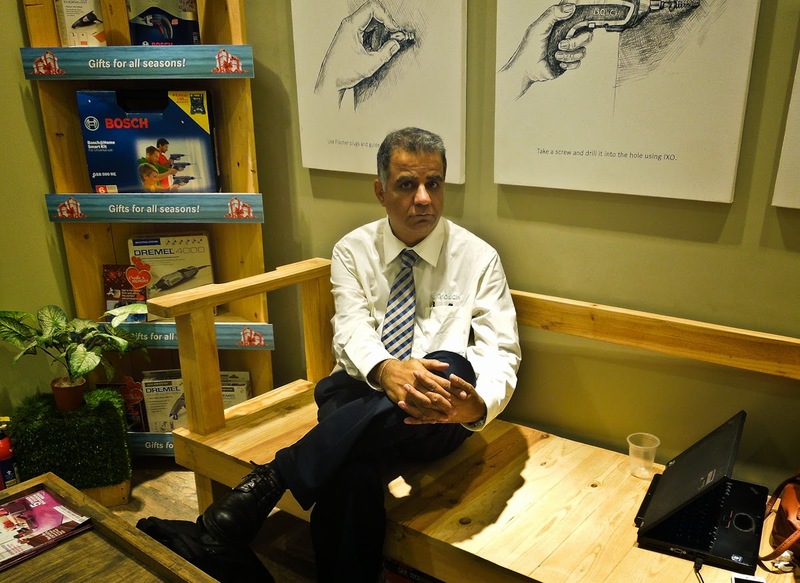 "The idea is to encourage people to use tools and get a feel of it", explains Vijay Pandey, the soft spoken Vice President of Bosch Power Tools. The experience can sometimes be life changing. Mamata Upadhyay, a Delhi based journalist visiting the DIY Square, who tried her hand at making a wooden clock was so taken up with the process of handling power tools such as a jigsaw and sander that she could barely tear herself away. "I realise I just love doing things with my hands", she remarked, "It just makes me feel I am doing something substantial, something real." After learning that she can use hand tools, Mamata is seriously thinking of a career change! The idea of creating something appeals to hundreds of visitors to the Bosch Square. "It may not appeal to everybody but a lot of people are realising that it is cool to be creative", says Pandey, who is planning to open more such DIY centres in other metros in the country. People drawn to DIY are usually those with a creative streak which sets them apart. By showing how easy it can be to get into DIY creative projects, Bosch is opening up endless possibilities for a large section of middle class and affluent Indians who would like to be creative, different and of course "cool". The president and country head of the Bosch group in India, Dr Steffen Berns, says that the DIY Square idea is unique to India and has not been tried anywhere else. He points out that there is no need to incubate a DIY culture in the West where it already exists. The Indian experiment could however be replicated in other countries that lack traditional DIY cultures, he adds. Abroad, especially in the West, some amount of DIY ability is mandatory given the high cost of service people such as carpenters, plumbers and so on. This is not the case in India and this is one reason why Pandey says that he is not trying to replace the poor carpenter or some other workman. Pandey's target audience is the rising Indian middle class, a huge potential market for Bosch power tools. 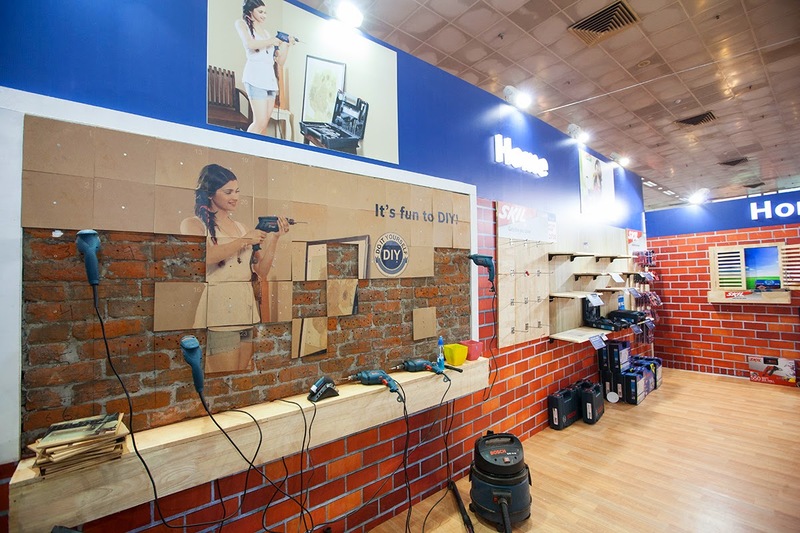 By stressing and spreading the message of DIY, Bosch hopes to pull in a chunk of Indians into the DIY habit. Bosch has a range of tools (coloured green) that are meant for DIY users apart from the "Blue" tools meant for professional users. The Green tools are usually much cheaper than the Blue ones and some of them are specially designed for the home user, such as cordless screwdrivers and drills. "India has a huge population and even if we get a small percentage of that we will have a huge market for our tools", explains Pandey. That explains why Bosch does not baulk at spending money on promoting DIY, setting up free facilities like the DIY Square and organising DIY events in various parts of the country. This is long term vision at its best. In the years to come, as DIY becomes part of the Indian lexicon, there is one brand that will always be associated with it: Bosch. The visit to the Bosch DIY Square in Bangalore was sponsored by Bosch.